The RE Council of England and Wales welcomes the publication of this major study, commissioned and funded by the Department for Children, Schools and Families and produced by the Warwick Religions and Education Research Unit, at the University of Warwick. The team was led by Prof Robert Jackson. Part A of this report discusses eight major areas of concern and Part B provides examples of effective practice in using enquiry as a basis for improving pupils’ learning, high-quality leadership and management in primary and secondary schools, and effective approaches in special schools. The State of the Nation report is an analysis conducted by the RE Council and NATRE of RE provision at state secondary schools across England. 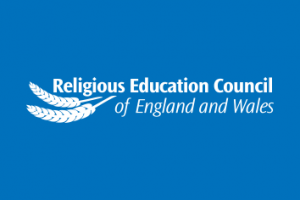 The Religious Education Council (REC)’s Teaching and Training Commission was established by the REC in part fulfilment of its Partnership arrangement with the Department for Education and Skills (DfES). This report is the result of an inquiry carried out by the All Party Parliamentary Group on RE to investigate the supply of and support for teachers of religious education. Over 850 schools in England and Wales were involved in at least one stage of the REsilience / AtGyfnerthu Programme. 112 schools in England and 40 in Wales participated in the full project, including contact with a mentor who visited and supported the RE department.